Thelma Keen, age 85, of Crookston, Minnesota, and formerly of Kalispell, Montana, died Thursday afternoon, October 10, 2013, at RiverView Health in Crookston. Thelma Ruth Flynn was born on June 13, 1928 in Dillon, Montana, daughter of John and Leda (Walker) Flynn. She spent her early years in Dillon, and Cottonwood, Idaho. She attended Central and Linderman Junior High Schools and Flathead High School in Kalispell Montana. In 1946, she moved to San Francisco, California, where she worked with Union Oil. She returned to Kalispell in 1958 and worked at the Diana Shop as credit manager, with the phone company as a keypunch operator and then joined K Mart where she worked as a bookkeeper until her retirement. In 2001, she joined her daughter in Crookston. Thelma enjoyed solving crossword puzzles, gardening and reading, especially mysteries. She was always ready for a cup of coffee and a good visit with family and friends. Thelma is survived by her daughter: Kathleen Joyce of Crookston, Minnesota; two grandchildren: Jeremy (JoAnn) Joyce of Crookston, Minnesota, and Stephanie (Jeff) Joyce-Fish of Grand Forks, North Dakota; five grandchildren: Damien, Jacob, Sean, Adara, and Willow. She was preceded in death by her parents: John & Leda Flynn; two sisters: Harriet Cottet and Mary Esther Peltier. Services will be held in Kalispell at a later date. The Stenshoel-Houske Funeral Home is assisting with arrangements. Scott E. Christians, 59, of Crookston, Minnesota, passed away at Altru Hospital in Grand Forks, N.D., Monday, September 22, 2014 after a courageous battle with cancer. Scott was born April 10, 1955 to Donald Dahl and Arlyce Jordahl in Montevideo, Minn. His family relocated to Hillsboro, N.D. in 1972. He was married to Barb Beck in 1975, and blessed with two beautiful daughters, Justina and Natasha. He began his 43 year-long career at American Crystal Sugar Company, in Hillsboro, and was transferred to the Crookston Plant in 1999 where he continued to be a shift supervisor. This is when he met the love of his life, Bonnie Reitmeier, through volunteering for the Polk County Sheriff's Mounted Search and Rescue Posse. Scott and Bonnie were married on August 10, 2002, on their farm in Gentilly, Minn. Scott was known for many things, he was a talented and adventurous man. In high school he was active in 4H, even participating in Nationals for Saddle Bronc Riding. He not only was a singer and guitar player in the band the Appollos, he also volunteered in the making of numerous fantastic musicals in Hillsboro. Scott loved horses, the country life, photography, and cherished spending time with his wife, family, and friends on their beautiful farm. Despite Scott being diagnosed with cancer, in May of 2014, his positive energy and kind heart perpetually shone onto all those he encountered. He was a man that his coworkers at American Crystal Sugar emulated and learned from. In his last months, those he had touched shared what a positive influence he has been and how much they learned from him. The day after Scotts passing, a co-worker named his newborn, Ian Scott, in remembrance of him. On "Scotty's Connections" Facebook page, friends described him in one word as: Generous, genuine, grounded, fun, caring, calm, amazing, friend, loyal, teacher, hard-worker, compassionate and patient. Although, as one person stated, one word would never be enough to accurately describe Scotty. Scott will be remembered and deeply missed by his loving wife, Bonnie Christians of Crookston; daughters Justina Christians of Fargo, and Natasha Czapiewski (Dale) of Hillsboro; step-children Travis Steer (Debbie Carrol) of Whitesboro, TX, Tyler Steer (Teresa Cramb) of Crookston, and Tera Steer (Corey Heiser) of West Fargo; grandchildren MyKayla Kornkven; Evan Czapiewski; Brittney Steer, Cody Steer and Katelyn Steer; Shad Steer, Tom Staff, Lindsay Staff and Casey Staff; Connor Fuglseth and Natalie Fuglseth, Connor Heiser and Courtney Heiser; siblings Shannon Schaefhauer (Mark), Greg Christians, Gary Christians, Elton Christians, Dan Christians, and Chuck Christians; father-in-law Lloyd Reitmeier; brothers-in-law and sisters-in-law Howard (Barb) Reitmeier, Patricia Schmidt (John), and Evertt Reitmeier (Joan); as well as many cousins, nieces, nephews, and wonderful friends. Scott is preceded in death by his grandparents; parents Arlyce Jordahl and Donald Dahl; step-father George Christians; and brother Sheldon Christians. A funeral service and celebration of Scott's life will be at 10:30 a.m. on Saturday, September 27, 2014, at Our Savior's Lutheran Church in Crookston, Minn. with the Reverend Steve Bohler officiating. A visitation with Scott's family will be from 5-7 p.m., with a prayer service at 7 p.m., on Friday, September 26, 2014 at Stenshoel-Houske Funeral Home, as well as one hour prior to the funeral service on Saturday. Interment at Oakdale Cemetery will take place immediately following the service on Saturday. Thelma Sipe, 92, Ada, Minnesota, died Wednesday, April 18, 2012, at the Halstad Living Center, Halstad, Minnesota. 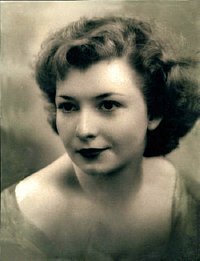 Thelma Doris Ogaard was born February 21, 1920, at Halstad, Minnesota, the daughter of Selmer and Matilda (Tuff) Ogaard. She was baptized at Bethel Church in Beltrami, Minnesota, and attended high school in Halstad. In 1941 she was united in marriage to Milton Foss. They lived in Ada at first, and then moved to various cities around the country before moving to the Little Falls, Minnesota, area. Thelma took classes to become a psychiatric tech and later worked in home care and care giving. Milton died in 1967 and Thelma moved back to Ada. She worked at the John Wimmer Nursing Home in Ada. She later moved to California where she worked in several industries including interior decorating. She retired and returned to Ada and married Jack Sipe in 1992. She had been an active member in Grace Lutheran Church, Ada American Legion Auxiliary, and the Ada Senior Center. He died in 1997. Thelma moved to the Heritage House in Halstad where she lived until 2008 when she became a resident of the Halstad Living Center. Thelma is survived by her daughter, Dorothy (George) Zinich, Elkhart, IN, her son, Stanley (Margarita) Foss, Leander, TX, five grandchildren, seven great grandchildren, two great-great grandchildren, one brother, Donald (Phyllis) Ogaard, Ada, Minnesota, one sister, Delores (Darrel) Westcott, Winger, Minnesota, and several nieces and nephews. She was preceded in death by her parents, and infant brother Stanley, and a sister Margie Blasey. Memorial Service: Wednesday, April 25, 2012, at Grace Lutheran Church, Ada, Minnesota. Margaret Ruth Webster, 87, Beltrami, Minnesota, died on Tuesday, May 6, 2014, at the Villa St. Vincent, Crookston, Minnesota. She was born on September 7, 1926, to Benjamin and Josephine (Christianson) Hamre, at Scandia Township, rural Beltrami, Minnesota. Margaret attended school in Beltrami, graduating from the Fertile-Beltrami High School in 1944. She continued her education at Aaker Business College, Fargo, North Dakota, for Stenography and following her schooling, Margaret worked in St. Paul, Minnesota, at the capitol building as a page. Margaret returned to Beltrami about a year later. On November 30, 1946, Margaret was united in marriage to Keith Webster at Beltrami. They were married for 64 years. Margaret was a busy and active farmer's wife and mother, assisting Keith when she could and raising five children. Margaret was very active at Trinity Lutheran Church, Beltrami, where she played the piano and served in the Women's groups�she was a former President of the Trinity's WELCA. She was a cook for the Beltrami Mall Cafe for many years. Cooking and baking characterize Margaret's life. She loved to create baked products, store them away and serve them to anyone who came to their home. Donuts, cookies of all kinds, breads, buns, and many more items filled those who ate from her kitchen. Her hands were never idol as she created crafts, knitted, and crocheted. As a long time musician, Margaret played and sang for church activities. In her later years, Keith and Margaret began singing with the Inspirations. Margaret was blessed with a servant's spirit and loving heart. Margaret is survived by one son, Greg (Gay), Beltrami; four daughters: Kaye (David) Coburn, Garretson, South Dakota; Mary Jo (Jim) Erickson, Ashton, ID; Elizabeth (Mike) Bennes, Chaska, Minnesota; and Lynn (Dennis) Krogstad, Savage, Minnesota; 14 grandchildren and ten great-grandchildren; brothers: Jerome (Shirley) Hamre, Fertile; Philip (Janet) Hamre, Moorhead, Minnesota; and Dean (Sandy) Hamre, Andover, Minnesota; sisters: Delores Grant, Fertile; and Barbara (Rodney) Oistad, Fertile; several nephews and nieces. She was preceded in death by her parents, husband, Keith, one grandson, Mark Webster; brother, Rolland Hamre, and two sisters: Marian Haugen and Adelle Haas. Memorial services will be held on Saturday, May 10, 2014, at the Trinity Lutheran Church, Beltrami, Minnesota. Visitation will be one hour before the services in the church. Nash Aleczander Lucken-Bak, age 2, of the Lucken Farm in Winger, Minnesota, the son of Lori Lucken and Steven Bak, passed away Tuesday afternoon, April 29, 2014, at Sanford Hospital in Fargo, North Dakota, in the arms of his mom. Nash was born on April 5, 2012 at Thief River Falls, Minnesota. At six weeks of age he was diagnosed with an extremely rare and severe hemolytic blood disorder, for which there is no cure. The fact that his body was rejecting his own blood meant that he had to have frequent blood transfusions from that time forward. Nash was never happier than when he could spend time on the farm, playing with his sister, brother, and cousins. Every morning he woke up with a big smile and played his little heart out all day long. He never knew how ill he was or whether this day would be his last; he only knew that some days he didn't feel as well as other days. Hospital visits and stays for treatment were a big part of Nash's short life. In January of 2013, while at the Amplatz Experimental Unit of the Childrens Hospital at the University of Minnesota, he received a surprise visit from some of the Minnesota, Vikings players. Mom and Dad got a photo of center John Sullivan holding him�. Nash loved it! On March 10th of this year he was featured on the Grand Forks WDAZ newscast titled "Heroes Among Us." Highlighted were the trials that Nash, his family, and caregivers dealt with each and every day, and was a very moving piece. Recently, stays at Sanford Hospital in Fargo were becoming increasingly more frequent. While some of his treatments and needle sticks were quite painful he always had a smile for those doing the sticking, and of course a "high five." Every morning the "mayor of Sanford" would make his rounds saying hi to the boys and girls he shared the floor with, and bringing greetings and hugs to the doctors, nurses, and staff on duty. He loved them all as much as they fell in love with him. Nash touched so many lives in his short time on this earth. His family asks for your continued prayers and support as they slowly heal, while always remembering. Nash leaves his mother, Lori Lucken, and father, Steven Bak, both of Winger, Minnesota; siblings, Nevaeh Hope (age 7), Niles Steven (age 3), and Noah Nazareth (age 6 months); a step-sister, Samantha Cerise Collette of Fargo, North Dakota; two step-brothers, Alex Earl Collette of Erskine, Minnesota, and Austin Jerry Wang of Mahnomen, Minnesota; grandparents, Earl and Lila Lucken of Winger and Steve and Linda Evenson of Erskine; and great-grandmother, Kate Simonson of Mentor, Minnesota. Nash is also survived by several aunts and uncles to include: Terry, Jeff and Donna, John, Kelly and Marc, Stacy, Lonnie, Scott and Rachel, and Jennifer and Brent; his cousins: Meleah, Brandon, Nathan, Kelcie, Mikayla, Tanika, Casey, McKenzie, Dominic, Josh, Abby, and Dustin; and many great-aunts, great-uncles, and "millions" of friends. He was preceded in death by his grandfather, Jerry Bak; great-grandparents: John and Ocie Simonson, Myron and Lennie Lucken, Earl Simonson, and Joe and Joyce Bak; and an angel in waiting, Max Arthur Mashburn, who died on December 15, 2010. Blessed be the memory of Nash Aleczander Lucken-Bak. The life of Nash Lucken-Bak will be celebrated at a funeral service to be held at the Grace Lutheran Church in Erskine, Minnesota, on Sunday, May 4, 2014 at 2:30PM, The Rev. Tim Lundeen, officiating. Visitation will be held at Grace Lutheran Church on Saturday from 4-7:00PM, with a 7:00PM prayer service and time of sharing, and visitation also at the church for one hour prior to the funeral. The Stenshoel-Houske Funeral Home of Crookston, Minnesota, is assisting with funeral arrangements. Burial will be in the Calvary Cemetery at Winger, Minnesota. In lieu of flowers the family requests that you remember Nash with balloons or gifts in his honor to the Children's Miracle Network. They also hope that you will continue to be blood donors because the need is so great. Donald Eli "Don" Page, age 80, of Erskine, Minnesota, and formerly of Crookston, Maple Lake, and Fertile, died Sunday afternoon, April 20, 2014, at the Pioneer Memorial Care Center in Erskine. Don was born in Crookston, Minnesota, on September 7, 1933, one of four children of the union of Eli and Marie (Tripanier) Page. He grew up at Gentilly, Minnesota, near Crookston, and attended the Gentilly school. In 1951 Don was united in marriage to LaVonne Rivard at Somerset, Wisconsin. Throughout his life Don was a very successful businessman and entrepreneur. He and LaVonne made their home in Crookston where he owned The Diamond, a popular local supper club. In 1971 Arlene Johnson became a big part of Don's life, and as his companion they moved to Cooperstown, No in the 1970's to own and operate The Coachman Inn. After returning to the area and settling at Maple Lake, near Mentor, Mi, Don began dealing in antiques. Of all his businesses perhaps the one he loved the most was the Page Gravel Company, which he ran for several years. He was an animal lover all his life, and "Morris" the cat became a big part of his life during these years, with a personality nearly as big as Don's. Don and Arlene moved into Fertile, Mi in 2005, and then as his health began to fail he became a resident of the Pioneer Memorial Care Center in 2010. Don was a wonderful companion, father, grandfather, and great-grandfather and will be very lovingly remembered and sadly missed by his family and many friends. Don is survived by his partner and companion of 43 years, Arlene Johnson of Crookston, Minnesota; 5 children: Vickie Stockamp of Riverside, CA, Nancy (Kevin) Page-Grabau of Hudson, WI, Sherry (Rick) Hinz of New Richmond, WI, Patsy Peltier of Stillwater, Minnesota, and Steve Page of Crookston; 9 grandchildren: Cassandra Stockamp, Dawn Cordova, Shaun Page, Amy Tollefson, Lisa Hill, Mandi Haas, Tiffany Vier, Derek Hinz, and Monique Hinz; 7 great-grandchildren: Chelcee Page, Scottie Cordova, Amelia Cordova, Noah Vier, Kaelyn Vier, Isabella Haas, and Sam Haas; two sisters, Marcella Violette of Riverside, CA and Rose Dufault of East Grand Forks, Minnesota; and several nieces, nephews, and other relatives. Don was preceded in death by his parents, Eli and Marie; son-in-law, William Stockamp; sister and brother-in-law, Elaine and Clarence Brault; brothers-in-law, Norman Dufault and Walter Violette; and nephews, Walter, Robert, and Michael Brault. May God bless Don's memory. A memorial service celebrating the life of Donald Eli Page will be held at 11:00 a.m., Tuesday, April 22, 2014, at the Stenshoel-Houske Funeral Home in Crookston with Deacon Dennis Bivens, presiding. Visitation with Don's family will be for one hour prior to the service. Inurnment will be at St. Peter's Cemetery in Gentilly, Minnesota, at a later date. Jeanne Marie Conneran, 65, of Crookston, Minnesota, died Friday, February 21, 2014, at the RiverView Hospital in Crookston surrounded by her family. Jeanne had been diagnosed with MS in 1981, and her positive attitude toward life was a source of constant inspiration to her family and friends. Jeanne was born in Crookston on November 20, 1948, the daughter of Lester and Claire (Dubuque) Conneran. She was baptized and confirmed at the St. Francis Catholic Church in Fisher, and grew up on the family farm near Fisher. She received her early education at the Fisher Elementary School, and then attended St. Joseph's Academy in Crookston graduating with the Class of 1966. After high school Jeanne began working for Salem Motors as the secretary-bookkeeper. Her beloved son, Chad, was born in 1971. Because of declining health Jeanne retired from Salem's in the early 1980's. She moved to East Grand Forks in 1989 and lived at Sunrise Terrace. In December of 1998 Jeanne returned to Crookston and moved into the Villa St. Vincent. Over the years she formed many wonderful friendships among the staff and her fellow residents. Jeanne's passions in life were reserved for Elvis, the Vikings, and anybody who beat the Packers! She enjoyed crocheting, and that talent led to the creation of over 50 colorful afghans. Jeanne will long be remembered for her love of life, the joy she got from teasing others and being teased in return, and the big smiles of sheer happiness during visits with family and friends. May God richly bless the memory of Jeanne Marie Conneran. Surviving family members include her son, Chad Conneran of Thief River Falls, Minnesota; her mother, Claire Conneran of Crookston, Minnesota; three sisters, Mary Jo (Lanny) Anderson of Vadnais Heights, Minnesota, Kathy (Robert) Altringer and Sue (Gary) Menard of Crookston; sister-in-law, Linda Conneran of Grand Forks, North Dakota; and many nieces, nephews, and other relatives. Jeanne was preceded in death by her father, Lester; sister, Paulette Hartlich and her husband, Richard; brother, John Conneran; and special niece and nephew, Tracy Lynn Altringer and Bill Hartlich. A memorial service celebrating Jeanne's life will be held in the Chapel of the Villa St. Vincent in Crookston at 10:30 am, Wednesday, February 26, 2014 with The Rev. Vincent Miller, presiding. Visitation with the family will be for one hour prior to the service. Inurnment will be in the Calvary Cemetery, Crookston, in the spring. The Stenshoel-Houske Funeral Home is assisting with funeral arrangements. Nina J. Larck, age 64, Crookston, Minnesota, died Friday, January 31, 2014 at Altru Hospital in Grand Forks, North Dakota. Nina J. Egerdahl was born on August 15, 1949 at Jamestown, North Dakota, daughter of Elmer and Alene (Stoppleworth) Egerdahl. She grew up at Larimore, North Dakota, and then at Ada, Minnesota, where she graduated from high school. Nina was united in marriage with Curtis Larck, Sr. on September 9, 1968 at Hawley, Minnesota. They made their home at Ada, Minnesota, and later moved to Syre, Minnesota. After a year at Syre, they moved to Lisbon, North Dakota, and in 1978, the family moved to Climax. The family lived at Halstad and Ada, before settling in Crookston in 1993. Nina enjoyed time at the lake when the family was young, first at Leaf Lake and later on Lake Sally at the Fern Beach Resort. She was an avid collector of a variety of items, including stamps, keychains and salt & pepper shakers. If she had more than three of an item, it became a collection. She enjoyed reading, crossword puzzles, Scrabble and the seek and find games on the computer. She also loved movies and made and fixed jewelry. Survivors include a son, Curtis, Jr. of Jamestown, North Dakota; three daughters: Stacey Larck (Jason Sommers) of Middletown, NJ, DeeAnn (Eric) Sirek of Red Lake Falls, Minnesota, and Amy Larck of Crookston, Minnesota; four grandchildren: James, Cody, Kaitlyn and Brianna; two sisters and two brothers: Merlene (Skip) Bonawitz of Moorhead, Minnesota, Terry (Kathy) Egerdahl of Fargo, North Dakota, David Egerdahl of Crookston, Minnesota, and Cindy Plante of Crookston, Minnesota; also many nieces and nephews. She was preceded in death by her parents: Elmer and Alene Egerdahl; a brother: Elmer Egerdahl and her husband of forty years: Curtis Larck, Sr on February 24, 2009. Nina's memorial service will be held at Stenshoel-Houske Funeral in Crookston at 2:00 PM, Friday, February 7, 2014 with Johnny L. Quimby, Elder of the Kingdom Hall of Jehovah's Witnesses in Crookston, presiding. Visitation with the family will be for one hour before the service. Stenshoel-Houske is assisting with arrangements. Rosemary Elaine Menard, age 90, of Crookston, Minnesota, died Monday morning, October 20, 2014, at RiverView Health in Crookston, with members of her family at her side. Rosemary was born on June 10, 1924 at Dickinson, North Dakota, the daughter of John L. and Anna (Kampa) Gauer. She grew up in Dickinson where she was baptized and confirmed at St. Patrick's Catholic Church; attended St. Patrick's Elementary School, and was a 1941 graduate of Dickinson Central High School. Rosemary next attended the College of St. Benedict at St. Joseph, Minnesota, and then enrolled in the St. Cloud (Minnesota) School of Nursing. She received her degree as a Registered Nurse in 1945. From 1942 until 1945 she also served with the Cadet Nurse Corps in St. Cloud in support of our nation during WWII. Rosemary's first position as an RN was at St. Vincent's Hospital in Crookston. On April 26, 1948 she was united in marriage to a young man Crookston man, Joseph Burke Menard. The ceremony took place at St. Patrick's Catholic Church in Dickinson. Rosemary and Burke made their home in Crookston and together raised six sons and a daughter. After working as a surgical nurse at Crookston's Bethesda Hospital for several years, Rosemary became the head nurse on the surgical floor of St. Francis Hospital in Crookston. From 1971 until her retirement in 1994 Rosemary was a home health care nurse for Polk County Nursing Service. Professionally, she was appointed by the State Board of Nursing to the Task Force for the Ladder Concept of Nursing Education, and also served on the Task Force for the Implementation of the Ombudson Program for the Elderly. Rosemary and Burke enjoyed many golden years spending time with family and friends. Sadly, Burke passed away on July 29, 2003, and their oldest son, Michael, died unexpectedly on July 13, 2011, after a brief illness. With the strength gained through her faith, Rosemary continued to persevere. Her favorite pastimes included reading, flower gardening, and writing poetry. She had a wonderful sense of humor and a quick wit, and time spent in conversation with her was sure to be a highlight of the day. Rosemary was a devoted member of the Cathedral of the Immaculate Conception parish, where she sang in the Cathedral and Resurrection Choirs, and also held memberships with the Catholic Daughters, American Legion Auxiliary, the Ministry of Befrienders, the Cursillo Movement of the Diocese of Crookston, and was an Oblate of the Sisters of St. Benedict Monastery at St. Joseph, Minnesota. Rosemary's family and many friends will remember her with great love and affection. Blessed be her memory. She is survived by her five sons and daughter: Tim Menard of Crookston, Minnesota, John Menard and wife, Patricia Kent, of St. Paul, Minnesota, Mark Menard and wife, Sheila, of Crookston, James Menard of Buffalo, Minnesota, Patrick Menard and wife, Doris, of St. Cloud, Minnesota, and Margot Reps and husband, Michael, of Oak Grove, Minnesota; 12 grandchildren and 6 great-grandchildren. She also leaves a sister-in-law, Pearl Gauer of Havre, MT; a brother-in-law, Curt Hendrickson of Crookston; and many nieces, nephews, and friends. In addition to Burke, her beloved husband of 55 years, and son, Michael, Rosemary was preceded in death by her parents, John and Anna Gauer; brothers, Gervase and John Gauer; and brothers-in-law and sisters-in-law: Fred "Fritz" and Donna Menard, Harriet Hendrickson, and Lilah and Ervin "Hap" Tiedeman. The Mass of Christian Burial for Rosemary Elaine Menard will be celebrated at 10:00 am, Friday, October 24, 2014, at the Cathedral of the Immaculate Conception in Crookston. Visitation will be at the Cathedral on Thursday from 5-7:00 pm, with a 7:00 pm prayer service, and also at the church for one hour before the funeral. Interment will be in the Calvary Cemetery in Crookston. In lieu of flowers the family requests that memorials be given in Rosemary's name to the Cathedral School, Care and Share, North Country Food Bank, or Polk County Humane Society. Dr. David George Jansen, 79, of Crookston, Minnesota, died Sunday afternoon, July 6, 2014, at the Altru Hospital in Grand Forks, North Dakota, following a brief illness. Several members of his family were at his side. David was born in Minneapolis, Minnesota, on January 17, 1935, the son of Gerhardt and Ethel (Becklin) Jansen. He received his education in the Minneapolis Public Schools and went on to attend Augsburg College in St. Paul. He later transferred to the University of Minnesota, where he earned a Bachelor's Degree while majoring in Philosophy and English. David then enrolled at Augustana Seminary in Rock Island, IL and was later ordained into the Evangelical Lutheran Church. After further study at Superior (WI) State University he completed work on his Masters Degree in Counseling and followed that with a PhD in Clinical Psychology at the University of Indiana in Bloomington. David practiced clinical psychology in several states before coming to Grand Forks in 1987. Later that year on September 3rd he was united in marriage to Marlene Rae Muir at the Wesley United Methodist Church in Grand Forks. The couple made their home in Grand Forks and created a blended family between his five children and Marlene's three children. In 1998 David and Marlene moved to Crookston. Sadly, Marlene passed away on October 3, 2013. David continued to maintain his clinical psychology practice to the present time as owner of the Prairie Psychological Center in Crookston. He was a member of Immanuel Lutheran Church in Grand Forks and a former member of St. Paul's Lutheran Church in Crookston. David was a longtime member of the Crookston Lions Club and served for many years as the organization's 'tail twister'. He was a diehard Chicago Cubs baseball fan and never lost faith that 'someday' they might win it all. Professionally, David was licensed to practice clinical psychology in several states, and was a member of the American Psychologist's Association and the Clinical Hypnosis Society of Minnesota. He will be very sadly missed and lovingly remembered by his family and friends. David is survived by his 5 children: Loren (Laura) Jansen of St. Peter, Minnesota, Lawrence Jansen of Elk River, Minnesota, Sharon (Travis) Smith of Manhattan, KS, Dean (Carolyn) Jansen of Warsaw, IN, and Lowell Jansen of Brooklyn Center, Minnesota; three step-children: Stephanie (Jim) Selby of Zeeland, MI, Stacie (Shawn) Rumsey of Holland, MI, and Kenneth "Steve" Bakke (Sara Daugherty) of Grand Forks, North Dakota; numerous grandchildren; a brother and two sisters: Harold (Betty) Jansen of Rapid City, South Dakota, Bonnie Bies of Yorba Linda, CA; and Edith Cousins of Nowthen, Minnesota; a sister-in-law and two brothers-in-law: Marcia (George) Allison of Crookston, Minnesota; Robert (Jeanne) Muir of Danville, KY; and Ronald Muir of Fairbanks, AK; as well as many nieces, nephews, and other relatives. In addition to Marlene, his beloved wife of 26 years, David was preceded in death by his parents, Gerhardt and Ethel, and infant sister, Ruth. May God bless David's memory. A Celebration of Life service for David George Jansen, PhD, will be held at 11:00 a.m., Thursday, July 10, 2014, at Immanuel Lutheran Church, 1710 Cherry Street, Grand Forks, North Dakota, with The Rev. Craig Fenske, officiating. Visitation will take place at St. Paul's Lutheran Church in Crookston on Wednesday from 5-7:00 p.m., with a 7:00 p.m. prayer service and time of sharing, and will continue at Immanuel Lutheran for one hour prior to the funeral. Inurnment will be at a later date in the Columbarium at the Oakdale Cemetery in Crookston. The Stenshoel-Houske Funeral Home is assisting with arrangements. The family requests that memorials be given in David's name to Immanuel Lutheran Church. Harvey Leander Garlington, age 78, of Crookston, Minnesota, and formerly a longtime Grand Forks, North Dakota, resident, died early Tuesday morning, February 4, 2014, at the Villa St. Vincent in Crookston. Harvey was born in Fordyce, Arkansas, on February 26, 1935, the son of John and Erma (Hughes) Garlington. He grew up in Fordyce and at the age of 19 entered the US Air Force on June 17, 1954. He was united in marriage to Regina Kennedy and a son, Scott, was born to their union. Harvey decided to make the Air Force his career and on February 25, 1958 he re-enlisted. He served in many parts of the world including, Viet Nam, and received his honorable discharge on January 1, 1975. He married Carole Ann Joy on November 19, 1966 at Las Vegas. They had a son, Mike, and two daughters, Juli and Sandi. Having served at the Grand Forks Air Force Base Harvey chose Grand Forks to be his retirement destination. He was employed at the United Hospital, today known as Altru, for several years before retiring from the maintenance department. He enjoyed being outdoors, visiting with friends, fishing, and gardening. He was a very talented carpenter and considered himself to be a "jack of all trades." He will be missed dearly by his family and all who shared in his life. Family members include his 4 children and their families: Scott (Anne) Garlington of Barnstable, MA and their children, Rylie and Daniel; Mike (Kathleen) Garlington of Crookston, Minnesota, and their children, Cassandra, Madelaine, and Jacob; Juli Garlington of Grand Forks, North Dakota; and Sandi (Will) Mollfulleda of Lorton, VA and their son, Josh. A graveside service for Harvey Garlington will be held at Oakdale Cemetery in Crookston at 10:00 a.m., Friday, June 20, 2014, with The Rev. Jo Gast, officiating. Military Honors will be provided by the Grand Forks Air Force Base Honor Guard. Sister Maureen Surprenant, CSJ, 94, of Crookston, Minnesota, member of the Congregation of St. Joseph, entered into eternal life on June 6, 2014 at RiverView Hospital in Crookston. Sister Maureen was born July 17, 1919 in Terrebonne, Minnesota, to John and Josephine (Bougie) Surprenant of St. Anthony's Parish. Christened Marie Olive three days after her birth, she grew up in that thriving rural community and had her first experience of education in a typical country school. She attended high school at St. Joseph's Academy in Crookston, Minnesota, where she graduated in May 1936. To become a classroom teacher had been uppermost in Olive's mind, so she lost no time enrolling in the high school teacher training department in Red Lake Falls, Minnesota. With a teaching certificate in hand, she found employment in a rural school from 1937-1939. As much as she liked teaching, Olive felt even more drawn to teach as a religious consecrating her whole life to God. She had witnessed 10 other young women from St. Anthony's Parish become Sisters of St. Joseph; on September 7, 1939, she too entered the Congregation of St. Joseph of Bourg, France. Olive received her initial formation at St. Joseph's Academy in Crookston where a novitiate had been established since travel to the Motherhouse in Bourg, France was out of the question due to World War II. Thus on April 23, 1940, her group was the first to receive the habit and their religious names in Crookston. Olive was given the religious name of Sister Marie Jerome; she made her first profession of vows April 24, 1941. Sister Marie Jerome's first teaching assignment was at St. Canice School, Kilkenny, Minnesota, followed by an assignment to St. Louis School in Superior, WI where she also served as school principal and superior of the sisters' community. Other schools served by Sister Marie Jerome over her 47 years in the teaching ministry included: St. Rose, Argyle; St. Joseph's Academy, Crookston; St. Joan of Arc, Minneapolis; St. Richard, Richfield; St. Anne's, Somerset, WI. Added to her responsibilities in 1955 was the appointment as community supervisor of schools for the Sisters of St. Joseph of the Crookston Province, a position she held until 1964. Like many other religious women, Sister Marie Jerome received her higher education through years of summer school: a BS degree in education from Viterbo College and later an MA in secondary school administration from the College of St. Thomas. In the early 1960s, Sister Marie Jerome chose to be called Sister Maureen. From 1965 to 1970, she taught Social Studies at Brady High School, West St. Paul, Minnesota. In addition to her active participation in her community and congregation's life, Sister Maureen also served several terms on the Crookston Council of Women Religious. Her high interest in political and social issues never waned and frequently she wrote to congress persons, urging their support of legislation in favor of people who were poor and marginated in our society. Sister Maureen retired to Marywood Residence in 1988 and willingly accepted the responsibilities of sacristan and part-time receptionist. The Summit Apartments became her home in May 2004 when she and 6 other Sisters of St. Joseph of Medaille moved there. Sister Maureen's ministry of prayer seemed to intensify during these past years at the Summit Apartments; she often reminded her sisters that she remembered them as she prayed the rosary several times daily. Sister Maureen Surprenant is survived by the members of her religious community, the Sisters of St. Joseph, brother John (Bernie) of Mesa, AZ; sister-in-law Cecile Surprenant, Crookston; brother-in-law, Tim Baril, and many nieces and nephews. Her parents, two brothers and 4 sisters preceded her death. The Mass of Christian Burial for Sister Maureen Surprenant will be held at 10:00 a.m., Saturday, June 14, 2014, at the Cathedral of the Immaculate Conception in Crookston with The Rev. Vincent Miller, presiding. Visitation will be at the Stenshoel-Houske Funeral Home on Friday from 6-7:00 pm, with a 7:00pm prayer service, and also at the Cathedral for one hour prior to the funeral. Interment will be in the Calvary Cemetery, Crookston. Memorials may be offered to the Sisters of St. Joseph, 4664 Jamestown Avenue, #125, Baton Rouge, LA 70808-3288. Kory Stromstad, age 37, of rural Crookston, Minnesota, died Saturday evening, February 15, 2014, at the RiverView Hospital in Crookston, following a tragic accident at his fish house on Maple Bay, near Mentor, Minnesota. Kory Arnold Stromstad was born to Bruce and Linda (Morkve) Stromstad on July 29, 1976 in Crookston, Minnesota. He was raised on the family farm near Beltrami, Minnesota, and attended Fertile-Beltrami School, graduating in 1995. He attended North DakotaSCS in Wahpeton, North Dakota, majoring in Auto Body Repair & Refinishing. Upon graduating in 1997 Kory went into farming with his Dad and Grandpa Walter. Kory was united in marriage to Stacy Marie Johnson of Crookston, Minnesota, on December 9, 2000 at the Trinity Lutheran Church in Crookston. Stacy and Kory made their home in rural Crookston and added two handsome boys to their family, Kasen (2006) & Kalden (2011). For recreation Kory enjoyed fishing, grilling, 'cruising', and spending time with his family having popcorn parties. He is best remembered for his hard work, creativity, sense of humor, compassion, and a pocket full of tools and chapstick. Kory served as a board member of the Beltrami Farmer's Elevator. He was a baptized and confirmed member of Scandia Lutheran Church until it closed, and then became a member of Trinity Lutheran in Beltrami, where he could be found each week with his family. He was currently serving as a deacon. Kory is survived by his beloved wife, Stacy, and their boys, Kasen (7) and Kalden (2); parents, Bruce and Linda Stromstad of rural Beltrami, Minnesota; mother-in-law, Beverly Johnson of Crookston, Minnesota; older brother, Bryce Stromstad, and his wife, Nancy, of rural Frazee, Minnesota; sister, Stacy Christianson, and her husband, Chad, of Walker/Duluth, Minnesota; younger brother, Kyle Stromstad, and his wife, Sheila, of rural Crookston; a brother-in-law, Rick Johnson and his wife, Brandy, of Carbondale, IL; nieces and nephews: Chase Peltier, Quinn, Kindlee, Lydia and Tucker Christianson, and Kylee and Dillon Stromstad; his grandmothers, Charlene Stromstad of Beltrami and Gertrude Morkve of Hatton, North Dakota; and many other dear family, friends, and neighbors. He was preceded in death by his grandfathers, Walter Stromstad and Arnold Morkve. May God bless Kory's memory. The funeral service and celebration of the life of Kory Stromstad will be held at 10:00 a.m., Friday, February 21, 2014, at the Trinity Lutheran Church in Crookston, Minnesota, with The Rev. Phil Larsen and The Rev. Jo Gast, officiating. Visitation will be at Trinity Lutheran in Crookston on Thursday evening from 5-7 p.m., with a prayer service at 7 p.m., and also for one hour prior to the funeral. Interment will be in the Scandia Cemetery, rural Beltrami. Claude Jeffrey "Jeff" Thomas, 51, of Crookston, Minnesota, died of natural causes Thursday, January 23, 2014, at his apartment. Loving family members include his father, Claude Thomas Jr. of Crookston; two sisters, Roxanne (Joseph Andrey) Goulet of Crookston and Pamela (Joseph Audrey) Goulet of Grand Forks; a brother, Troy Thomas (Mia) of Becker, Minnesota; and many nieces, nephews, and other relatives. Jeff was preceded in death by his mother, Juanita Mae (Tibbetts) Thomas. Jeff's life will be remembered at a coffee and luncheon gathering being held for family and friends from 2-6:00 p.m., Thursday, January 30, 2014, at the residence of Roxanne Goulet , 202 7th Avenue South - #41, in Crookston. Carmel Espinosa, 87, a longtime Crookston, Minnesota, resident, died peacefully Monday afternoon, July 28, 2014, at the Bridges Benedictine Care Center in Ada, Minnesota, with her family at her side. Carmel had become a resident at Bridges in October of 2012. She was born at Crystal City, TX on March 27, 1927 to Panteleone and Josefa Sanchez I. Carmel was baptized and confirmed in the Catholic faith and traveled with her family to the Crookston area every year where they worked as migrants in the fields of local farmers. She later met a special young man by the name of Jesus "Jesse" Espinosa. Carmel and Jesse were united in marriage on September 24, 1947 at Crookston. After making the trip between Texas and Minnesota, for many years with their growing family the couple decided in 1966 to make Crookston their home. While kept very busy raising a family of four, Carmel continued to work in the fields for several years. Jesse passed away on April 10, 1999. Carmel is survived by her daughter, Olga (Leonard) Diaz of Hendrum, Minnesota; three sons: Jesus Espinosa Jr. of Crookston, Minnesota, Rey (Debra) Espinosa of Loveland, CO, and Miguel Espinosa of Crookston; 10 grandchildren: Teresa Rodriguez, David Villarreal, Rebecca Hukriede, Fidel Villarreal, and Carmen, Jessica, Justin, Grant, Grace, and Joseph Espinosa; 22 great- grandchildren; 4 great-great grandchildren; two brothers, Panteleone Sanchez II of Sacramento, CA and Pablo Sanchez of Crystal City, TX; and many nieces and nephews, include two special nieces, Lela and Connie. In addition to her husband, Jesse, Carmel was preceded in death by her parents; siblings: Solomon, Little Juan, Martha, and Emma; and a step-brother, Big Juan. May God bless Carmel's memory. The funeral service for Carmel Espinosa will be held at 2:00 p.m., Friday, August 1, 2014, at the Stenshoel-Houske Funeral Home in Crookston with Deacon Dan Hannig presiding. Visitation will be for one hour prior to the service. Interment will follow in the Calvary Cemetery, Crookston. Elba Marie Breed-Harstad, 101, of Apple Valley, CA, and formerly of Crookston, Minnesota, died at her home on June 16, 2014, surrounded by her family. Elba was born in Crookston on May 5, 1913 to Frank and Elsie (Bjorgo) Lerum. She was the oldest of 6 children including siblings: Frances, Leota, Galen, Robert, and Bette Jane.Elba grew up in Crookston and graduated from Central High School in 1933. She was united in marriage to Rolland Breed and they made their home in Crookston, where they raised two daughters, Barbara and Loralee. Rolland operated an auto repair shop and later farmed in the area. After retiring from farming the couple owned the Coast to Coast Store in Crookston. They were devoted members of the Trinity Lutheran Church. Rolland passed away in 1977. In 1984 Elba resumed her high school romance with Lawrence Harstad and they were married in 1985. Elba and Larry enjoyed US and world travel while making their home in California. They were members of the Trinity Lutheran Church in Victorville and actively involved with Apple Valley's Thunderbirds Square Dance Club, for which they served as officers for many years. Following Larry's death in 2006, Elba moved to the Rock Spring Retirement Living Center where she remained vibrant until her passing. Elba is lovingly survived by her daughters, Barbara (Ed) Regan and Loralee (Al) Lopez, both of Ridgecrest, CA; a step-son, Jerry (Barb) Harstad; grandsons: Michael Regan, Andrew (Audrey) Lopez, and Ryan (Nike) Lopez; step-granddaughters: Debbie (Mike) Brassier, Tammy (George) Berkner, and Joy Dodd; several great-grandchildren; a sister-in-law, Lorraine Lerum of Crookston, Minnesota; and many nieces, nephews, other relatives, and friends. In addition to her husbands, Rolland and Larry, Elba was preceded in death by her parents; siblings; step-daughter, Lori Dodd; and granddaughter, Debbie Regan. May God bless Elba's memory. A graveside service for Elba Breed-Harstad will be held at 2:00 p.m., Friday, July, 18, 2014, at the Oakdale Cemetery in Crookston. Elba's funeral service was held in California on June 28th. The family requests memorials be made in her name to your favorite charity. Sister Lucille Marie Adelman, 80, died at Villa Saint Vincent, Crookston, on Monday, May 12, 2014. Lucille Marie Adelman, second of the seven children of Andrew and Susan (Vonderharr) Adelman, was born near the tiny, very Catholic and very German hamlet of Rosen, Minnesota. She was born on December 13, 1933, on the homestead that her paternal grandfather had settled and where her father was born. She was baptized at Saint Joseph's Church in Rosen where she also attended the Saint Joseph's Grade School and was taught by Benedictine sisters from Crookston. She related that she knew in the second grade that she wanted to be a sister. She chose to enter the Mount community largely because of the influence of the Mount sisters who taught her though she had relatives in religious communities in Saint Joseph, Mankato and Rochester, Minnesota, and Dubuque, IA. Lucille attended Mount Saint Benedict Academy for high school, and she entered the monastic community as a senior in January, 1951. She was invested in the Benedictine habit when she entered the novitiate, July 2, 1951. She also received her religious name, Sister Mary Edward, but when sisters were permitted to revert to their baptismal names, she resumed the name Sister Lucille Marie. She made her final monastic profession on July 11, 1955. Sister Lucille Marie received a Bachelor of Arts degree in organ performance from the University of North Dakota, Grand Forks, North Dakota; a Religious Formation Certificate from the Institute of Religious Formation from Saint Louis University, Saint Louis, MO and a Masters of Pastoral Studies from Loyola University, Chicago, IL. She also did some graduate studies at Saint John's University, Collegeville, Minnesota. Sister Lucille Marie began her ministry first as a kindergarten teacher at the Cathedral Grade School in Crookston and at Saint Joseph's School in Moorhead. She also taught music at the Cathedral, Saint Joseph's and Saint Michael's in Mahnomen. She had a brief stint as an assistant records librarian at Saint Mary's Hospital in Detroit Lakes. In 1962, she began teaching piano at Mount Saint Benedict and serving as the community organist. From 1970 to 1976 she was the formation director at Mount Saint Benedict Monastery. In 1974, after attending the Institute of Religious Formation where she was trained in spiritual direction, she began another phase of her life: offering spiritual direction, first to sisters at the Mount and then to people in the wider community. At this time she also became involved in offering individually directed retreats. From 1977 to 1987, she offered spiritual direction, individually directed retreats and piano lessons in Browerville, Minnesota. Two of those years, 1985 to 1987, she served as pastoral assistant at Christ the King Parish, thus beginning a third phase of her life, that of pastoral ministry. From 1987 to 1989, she was the pastoral associate at Saint Joseph's in Red Lake Falls, Saint Dorothy's in Dorothy, Saint Anthony's in Terrebonne and Saint Vincent de Paul's in Plummer. From 1989 to 2002, she served as the Pastoral Administrator at Saint Joseph's Parish in Oslo. When asked what she did as pastoral administrator, she said, "Everything except administer the sacraments!" While in Oslo she also became involved with ecumenical activities. One of the notable events while she was in Oslo was surviving the 1997 flood! She said, "We had ONE Sunday Mass between Easter and Ascension because we were an island in the midst of the great Red River Lake!" In 2002, she returned to the Mount, where she began offering spiritual direction and in 2005 she became the liturgy coordinator. She retired from that position in 2011. She moved into assisted living in 2010 because of deteriorating health after having undergone radiation therapy for cancer. She moved to Villa Saint Vincent shortly before her death. Sister Lucille Marie was preceded in death by her parents and her brother, Irvin. She is survived by sisters Irene (Roger) McCullock of Big Stone City, South Dakota, Rose Ann Wollschlager of Millbank, South Dakota, Verna McGovern of Fargo, North Dakota, and brothers Jerry (Dorothy) of Bellingham, Minnesota, and James (Betty) of Rapid City, South Dakota, sister-in-law Veronica of Ortonville, Minnesota, and many nieces and nephews and the Sisters of Saint Benedict. Reception of Sister Lucille Marie's body will be at 4:30 p.m. on Sunday, May 18 followed by visitation until the 7:00 p.m. prayer service. Sister Lucille Marie's funeral will be at 11:00 a.m. Monday, May 19, 2014, with Msgr. Roger Grundhaus presiding. All services will be in Sacred Heart Chapel, Mount Saint Benedict Monastery, 620 Summit Ave. Crookston, Minnesota. Gifts in memory of Sister Lucille Marie are preferred to Mount Saint Benedict Foundation. She was buried in Mount Saint Benedict cemetery, Crookston. Virginia Mae Hanson, 84, formerly of Crookston, Minnesota, passed away on January 5, 2014 in Cheyenne, WY. Virginia Mae Hegland was born on July 18, 1929 in Fargo, North Dakota, the second daughter of Lorentz Hegland and Ellen (Wold) Hegland. She graduated from Crookston Central High School in 1947 and the St. Luke's School of Nursing in Fargo in 1950. Virginia was united in marriage to Arthur Leroy Hanson on November 3, 1950 in Fargo. She served as a registered nurse in several hospitals, schools, and medical clinics until her retirement in 1990. Arthur passed away in 1991. Virginia is survived by her children: Larry (Nancy) Hanson, Pauline (William) Berghoff, Ardele (Brian Thom) Hanson, Charles (Avis) Hanson, Margery (Michael) Powers, and Kristine (Clay) Parcels; a brother Loren (Marge) Hegland; 13 grandchildren; several great-grandchildren; and many nieces and nephews. She was preceded in death by her husband, Arthur, her parents, and sister, Kathryn Swanson. A graveside service for Virginia Hanson will be held at 10:00 a.m., Monday, May 5, 2014, in the Oakdale Cemetery, Crookston, Minnesota. Jorene "Jo" Larson, age 75, died Thursday, April 10, 2014 at RiverView Health in Crookston, with her loving family at her side. Jorene Ann Zink was born on December 1, 1938 at Carrington, North Dakota, daughter of Harold and Erna (Peterson) Zink. She grew up on the family farm near Carrington. She attended school at Rosehill Country School and graduated from Carrington High School. After graduation she attended Interstate Business College in Fargo for bookkeeping and worked for an accounting firm in Fargo following her graduation. She was united in marriage with Charles E. Larson on March 29, 1958 at Carrington Federated Church, Carrington, North Dakota. After their wedding, they made their first home in Montevideo, Minnesota. They returned to Fargo in 1959 and lived there until 1972 when the family moved to Bottineau, North Dakota. In 1975, the family moved to Crookston and settled into their forever home on Golf Terrace Drive. Jo's career was taking care of her family. When her children were young, Jo served as Cub Scout, Campfire, Girl Scout, and 4-H leader. She truly was her children's biggest fan. As grandchildren arrived, she shared her love with them and enjoyedwatching their concerts, games, plays, and spending time at lake with them making memories. In Crookston, Jo headed up a bowling team and 17 years ago organized a card club. She enjoyed quilting at Trinity and was a creative craft person. She put together beautiful jewelry Christmas trees with her Mom that she gave to each of her children. Jo was the Mom of the neighborhood and always had popsicles and treats available for the neighbor kids when they stopped by to visit. She enjoyed playing cards, games, and dice with her friends and family. Jo loved and celebrated every holiday; preparing fabulous meals, decorating her home inside and out, and enjoyed collecting Villages that lit up her home through the winter holiday. Jo especially enjoyed her beautiful flower beds in her yard that she planned and planted with Cory. Jo was active with her work at Trinity with the community food basket program and also enjoyed helping with the community theatre working behind the scenes getting the props ready for the play. She was known to have an impeccable home and shared that gift with others as well helping them clean, paint, wallpaper, and organize. Jo had a very big heart that would do anything for anyone. Jo is survived by her husband of fifty-six years; Chuck, five children: Cory (Jeff) Nielsen of Crookston, Nancy Larson (Darcy Birkholz) of Fargo, Craig (Melinda) Larson of Crookston, Julie (Wes) Staigle of Fargo, and Janelle (Chris) Hetzler of West Fargo; five grandchildren: Christopher and Allison Larson, Cole and Nathan Staigle, and Charlee Jo Hetzler; siblings: Joyce (Lyle) Paulson of Fargo, Judy (John) Greene of Fargo, Richard Zink of Carrington, Merlin (Elaine) Zink of Baker, Montana, and Marlene (Duane) Anderson of Fargo; sister-in-law: Beverly Sprenger of Fargo; brother-in-law: Kurt (Connie) Larson of Wayzata, Minnesota, and sister-in-law: Sylvia (Arlan) Mostue of Fargo; and many nieces and nephews. She was preceded in death by her parents Harold and Erna Zink, in-laws Carl and Ethel Larson, and son-in-law Terry Hanson. May God richly bless the memory of Jorene Larson, amazing wife, mom, and friend! The funeral for Jo will be on Thursday, April 17, 2014, at Trinity Lutheran Church, Crookston, with The Rev. Gregory Isaacson, officiating. Visitation will be at the Stenshoel-Houske Funeral Home, Crookston from 5 to 7 pm, Wednesday, with a prayer service at 7 pm and also for one hour before the service at the church. Inurnment will be at Oakdale Cemetery, Crookston. Memorials may be made to Trinity Lutheran Church Quilting, Beautification, or Community Food Basket Program. Stenshoel-Houske is assisting with the arrangements. Kent Wayne Ostgaard, 49, and Natalie Joy Ostgaard, 51, died during the early morning hours of Monday, March 3, 2014, at their rural Crookston, Minnesota, residence of suspected carbon monoxide poisoning. Kent was born in Crookston on November 24, 1964, to the union of Vernon and Deloris (Volker) Ostgaard. He grew up on the family farm near Eldred, Minnesota, and graduated from Climax High School in 1983. Kent went on to attend the AVTI in East Grand Forks where he received an Associate degree in Diesel Mechanics. For several years he was employed on area farms. Natalie was born in Crookston on December 19, 1962, and was the daughter of Delmer and Eunice (Larson) Paulson. She grew up in Crookston and was a member of the Class of 1981 at Central High School. She attended Bemidji State College and the U of M-Crookston, from which she received an Associate degree in creative writing. Natalie was employed by the US Census Bureau and later for various Crookston businesses. Kent and Natalie were united in marriage on October 23, 1993 at St. Paul's Lutheran Church in Crookston. Their union was blessed with three daughters, Aryanna, Cyrina, and Gabriela. For many years Kent was employed by New Flyer in Crookston. Natalie was familiar to many throughout the Crookston area as the news-features editor for the Crookston Daily Times from 2002 until 2013. Kent enjoyed being outdoors, along with favorite hobbies that included building, tinkering, and "projects." He was also very interested in the sciences and history. Natalie loved writing, as a hobby as well as her vocation, and was also a very talented photographer. She liked keeping in touch with family and friends via facebook and other social media, sharing what was going on in the lives of her family. Both Natalie and Kent loved animals, and Natalie had a real soft spot for anything unicorn related. Together, They were extremely proud of their three girls and their accomplishments in life thus far, knowing that the best was yet to come. The support they gave the girls was unfailing, and their love unconditional. For all who were a part of their lives, Kent and Natalie will be remembered with love and smiles, and very sadly missed. They leave behind their three daughters: Aryanna of Crookston, Cyrina, a freshman at the University of Minnesota-Duluth, and Gabriela, a junior at Crookston High School. Also surviving is Kent's brother, Kraig (Torrey) Ostgaard of Fisher, Minnesota, and his children: Dylan, Nicholas, Amber, and Alexis; Natalie's siblings: Larry (Debbie) Paulson of Crookston, Bradley Paulson of Fargo, North Dakota, and Jeffrey Paulson (Val Nygaard) of Seattle, WA , and their daughter, Melanie (David) Newcombe. They are also survived by many aunts, uncles, cousins, and other relatives; and preceded in death by their parents, Vernon and Deloris Ostgaard and Delmer and Eunice Paulson. Blessed be the memories of Kent and Natalie. A memorial service celebrating the lives of Kent and Natalie Ostgaard will be held at 2:00 p.m., Saturday, March 8, 2014, at St. Paul's Lutheran Church in Crookston with The Rev. Bill Reck, officiating. Visitation with the family will begin at the church at 12 Noon. The family would like to extend a special thank-you to Jolanda Anderson who has been with Aryanna throughout her stay at St. Mary's Hospital in Rochester. Memorials may be directed to The Ostgaard Family c/o Bremer Bank, 201 North Broadway, Crookston, Minnesota, 56716. Joseph Francis "Joe" Schwab Jr., 76, of Crookston, Minnesota, died Saturday, February 8, 2014, at his home. He had been courageously battling Parkinson's for several years. Joe was born at Jamestown, North Dakota, on September 3, 1937, the younger of two sons of Joseph and Christine (Abele) Schwab Sr. He was baptized and confirmed in the Catholic faith and graduated from Jamestown High School with the Class of 1955. He was an outstanding track athlete, not only setting state relay records, but also winning the North Dakota, State High School 100-yard dash event in 1955. Joe enlisted in the US Navy on July 11, 1955, and served aboard the USS Brush, based out of San Diego, CA, until his honorable discharge on December 1, 1957. He was awarded the China Service Medal and Good Conduct Medal for his service to his country. After returning home Joe attended the Wahpeton (North Dakota) State School of Science. On August 25, 1962 he was united in marriage to Bonnie Jean Johnson at Jamestown, North Dakota. Joe began working for the Otter Tail Power Company at Fergus Falls, Minnesota, and he and Bonnie made their home there for several years. In 1970 he transferred to Otter Tail's Crookston office. He retired from Otter Tail after 39 years of service. Over the years Joe, Bonnie, and their family enjoyed wonderful summers at West McDonald Lake, near Fergus Falls. Cherished memories of swimming, skiing and sitting around the campfire were created with extended families and friends. Joe's patient demeanor enabled him to teach many of the kids how to water ski. The cabin was Joe's favorite place to be, and in his latter years, he was usually packed and ready to go even before the snow had melted. One of Joe's favorite pastimes was keeping tropical fish and he maintained several aquariums in his home. He was also very mechanically gifted as well, and loved to tinker with small engines. Joe's happy, easy-going nature and sense of humor are a piece of the legacy he leaves with his kids and grandkids, and he will be very lovingly missed and remembered. Family members include Joe's daughter and three sons: Joan Darco of Crookston, Minnesota, James (Jacalyn) Schwab of Thief River Falls, Minnesota, David Schwab of Grand Forks, North Dakota, and Paul (Jody) Schwab of Elk River, Minnesota; 6 grandchildren: Dustyn (Arika) Darco, Derek Darco, Brandon Schwab, Britney (Brandon) Block, and Isaac and Alexander Schwab; two great-granddaughters, Brylee and Serenity; a brother, Jim "JJ" (Alice) Schwab of Appleton, WI; a brother-in-law and sister-in-law, Richard (Pat) Hall of Moorhead, Minnesota; and other extended family. He was preceded in death by Bonnie, his beloved wife of 40 years; and his parents, Joseph and Christine. May God bless Joe's memory. A memorial service celebrating the life of Joseph Schwab will be held at the Stenshoel-Houske Funeral Home on Friday, February 14, 2014, at 2:00 p.m. with The Rev. Vincent Miller, officiating. Visitation with the family will be for one hour prior to the service. Elmer J. Larson, age 95, of Grand Forks (formerly Climax, Minnesota) died Wednesday, December 25, 2013 at the Woodside Village in Grand Forks. Elmer, son of Martin and Helga "Josephine" (Thoreson) Larson, was born on September 29, 1918 at rural Climax, Minnesota. He grew up and was educated at Climax, graduating from Climax High School in 1941. He was united in marriage with Marion Neil on October 26, 1941, at Sand Hill Lutheran Church in rural Climax. They lived in Grand Forks where he worked at American Crystal Sugar Co., and later they moved to Moorhead where he was employed at the Concordia farm. They started farming in rural Climax, in 1946 and they farmed there until retiring in 1983. In 1999, Elmer and Marion moved into East Grand Forks and three years ago, they moved to Grand Forks. He is survived by Marion, his wife of 72 years; five children: Judy (Bob) Hoffman of Waseca, Minnesota, Linda (Darren) Pahl of Zumbrota, Minnesota, Arlan (Dana) Larson of Climax, Minnesota, Wanda (Bill) Scoville of Fargo, North Dakota, and Owen (Connie) Larson of Climax; fifteen grandchildren, nineteen great-grandchildren, many nieces and nephews; and a sister-in-law: Gloria Larson of Joliet, IL. He was preceded in death by his parents: Martin and Helga; three sisters: Anna Evenson, Idella Grove and Helen Evenson; five brothers: Adolph, William, Lars, Melvin and Joseph Larson; three siblings who died in infancy; and a brother-in-law, Robert Neil. Elmer's funeral service will be held at 11:00 AM, Saturday, January 4, 2014 at the Sand Hill Lutheran Church, rural Climax, Minnesota, with the Rev. Joy Grainger, officiating. Visitation will be at the Stenshoel-Houske Funeral Home in Crookston on Friday, January 3, 2014 from 5 to 7 PM with a 7 PM prayer service, and also at the church for one hour prior to the funeral on Saturday, January 4th. Memorials are preferred in lieu of flowers. May God richly bless the memory of Elmer J. Larson. Marion Emma Kaltenberg, 89, of Crookston, Minnesota, died peacefully early Thursday morning, January 16, 2014, in the Villa St. Vincent Nursing Home in Crookston. Marion had been a resident of the Villa since April of 2008. She was born at Tappen, North Dakota, on September 19, 1924, and was the daughter of Gust C. and Mary (Heiden) Peterson. Her early years were spent growing up in Tappen, where she attended a one room school through the 8th grade. In 1937 Marion and her family moved to Melvin, Minnesota, near Crookston; and in 1939 to a farm near Red Lake Falls. She attended Lafayette High School and proudly earned her GED later. Marion then moved to Crookston and worked at the Sweet Shop and later at the Crookston Hotel. On September 29, 1942 she was united in marriage to Jearld Franklin Kaltenberg with the ceremony taking place at her parents farm home. Crookston became home to the couple and was where they raised their family in the house they built. Marion was employed full-time at the Polk County State Bank for a few years and then as a part-time bookkeeper for the bank until 1954. In 1966 she resumed her working career, becoming the secretary-bookkeeper for the Red River Valley Winter Shows. In 1977 she left there to assume receptionist-bookkeeping duties for the Wayne Swanson Law Office until her retirement in 1982. Jerry retired from the Burlington Northern Railroad a year later and together they enjoyed traveling, whether by car, motor-home, plane or train. Sadly, Jerry passed away on November 1, 2000. Marion was a longtime member of Our Savior's Lutheran Church, and belonged to the Afternoon Guild and was a charter member of the Evening Guild. She also held memberships in the RiverView Hospital and Nursing Home Auxiliary, RSVP, and the Golden Link Senior Citizens Center. Marion and Jerry were honored as "Experienced Americans" in 1999. Marion was devoted to her family and will be dearly missed by all who were touched by her life. Loving family members include three sons and two daughters: Richard A. Kaltenberg of Los Angeles, CA, Gary W. (Carolyn) Kaltenberg of Grand Forks, North Dakota, Susan (Rodger) Nelson of Tempe, AZ, Douglas L. (Marsha) Kaltenberg of Beaverton, OR, and Connie (William) Wermager of Brooklyn Park, Minnesota; 10 grandchildren: Lara, Tiffany, Corey, Shawn, Troy, Tim, Sarah, Scott, Danny, and Alison; and 9 great-grandchildren: Jenna, Jaclyn, Jillian, Conger, Juliette, Aidan, Joelle, Logan, and Cathal. She also leaves a sister, Alice Wentz of Wenatchee, WA; three brothers: Floyd A. (Fay) Peterson of Sacramento, CA, Allen G. Peterson of Mountlake Terrace, WA, and Lester A. Peterson of Silverdale, WA; two sisters-in-law, Cristel Peterson of Bemidji, Minnesota, and Beth Peterson of Hemet, CA; and many nieces, nephews, and other relatives. In addition to Jerry, her beloved husband of 58 years, Marion was preceded in death by an infant daughter, Dawn Marie, who died in 1943; a son, David L.R. Kaltenberg, who died in July, 2013; her parents, Gust and Mary Peterson; two sisters, Hazel Ollie and Rose Peterson; and three brothers, Melvin Peterson, Fritz Peterson and Kenneth Peterson. May God richly bless the memory of Marion Emma Kaltenberg. The funeral service celebrating the life of Marion Kaltenberg will be held at 10:30am, Tuesday, January 21, 2014, in Our Savior's Lutheran Church, Crookston, Minnesota, with The Rev. Steve Bohler, officiating. Visitation will be in the Stenshoel-Houske Funeral Home on Monday from 5-7:00pm, with a 6:30pm prayer service, and also at the church for one hour prior to the funeral. Inurnment will take place in the Oakdale Cemetery Columbarium in Crookston. Jan L. Delage, age 76, Gentilly, Minnesota, died Wednesday, February 19, 2014 at RiverView Hospital, Crookston, Minnesota. Jan L. Desautel was born on July 31, 1937 in Crookston, Minnesota, daughter of Leo and Edith (Ebert) Desautel. She was baptized and confirmed in the Catholic faith and graduated from Cathedral High School in 1955. She was united in marriage with James H. Delage on September 14, 1957 at the Cathedral of the Immaculate Conception in Crookston. They made their home in Crookston, until moving to Gentilly in 1969. Jan trained as a X-ray and lab tech and worked in that profession at St. John's Hospital in Red Lake Falls, in Grand Forks and then with the Agassiz Clinic in Crookston until it closed in 1983. She then worked with the Tri-Valley Opportunity Council with their Housing Program working with low-income housing. She received an award for her work there in the 1980's and retired from Tri-Valley on August 28, 2003. She then worked with the RSVP program and was very passionate and creative about the program. She spent time serving as a Walmart greeter. She was a member of St. Peter's Catholic Church in Gentilly, serving on the Pastoral Council and as a Minister of Holy Communion. She was also involved with the Homemakers Club, Toastmasters, and Bridge Club. She kept up with current events and was passionate about her opinions, especially social justice issues. She loved spending time with family and friends. She enjoyed a good party, gardening, camping, traveling. She also enjoyed cooking and baking. She loved her animals. Her husband, James, died on December 16, 2011. Jan is survived by her sons: Glenn (Rachel) Delage and Joel Delage, both of Crookston; grandsons: Bryce, Brett and Brandt Delage; two sisters-in-law: Louise Desautel of Albany, Minnesota, and Elaine (Alton) Lilga of Apple Valley, Minnesota. She was preceded in death by her parents: Leo & Edith Desautel; brother: James; sister: Harriet; and her husband: James. Jan's funeral service will be Monday, February 24, 2014 at 1:00 PM at St. Peter's Catholic Church, Gentilly, Minnesota. Visitation will be at Stenshoel-Houske Funeral Home, Crookston, Sunday, February 23, 2014 from 5 to 7 PM, with a prayer service at 7 PM, and also with visitation for one hour prior to the service on Monday at the church. Interment will be at St. Peter's Cemetery, Gentilly, Minnesota. Stenshoel-Houske is assisting with arrangements. Denis "Denny" Lee Taus, age 51, Crookston, Minnesota, died Friday, April 11, 2014 at the Sanford Medical Center, Bemidji, with his loving family at his side. Denis was born on April 26, 1962 in Crookston, Minnesota, son of George L. and Mary A. (Morlan) Taus. He was named after his uncles, Dennis and Virgil Lee Taus. The family lived in Crookston, McIntosh and Oslo, before moving to Climax in 1970, where Denis attended school. In school, Denis was in track and played football and basketball. Following his senior year, the family moved back to Crookston. Denis had worked for local farmers while in school and at Perkins. During his sophomore year, at the age of 16, Denis was severely injured in a head on collision when he was hit by a drunk driver and suffered lifelong ongoing health issues which greatly altered his life. An avid outdoors man, he enjoyed cars, motorcycles, snowmobiles and fishing with family. He especially enjoyed Ox Cart Days in Crookston with the Classic Cruizers car exhibition, where annually he entered his "parade car," a 1985 Cutlass Supreme that he had refinished in Silver and Gold. He loved music and enjoyed following the bands of his brother George and brother-in-law Mark, attending all their gigs when he was in better health. He also enjoyed attending the annual Moon Dance Jam weekends at Walker, Minnesota. He loved spending time with his nieces and nephews and regularly took them to the circus when it was in the area. Denis is survived by his parents: George L. and Mary A. Taus of Bemidji; siblings: George K. (Jean) Taus of Bemidji, David Taus of Mountain Iron, Cindy Martine-Barstad of Bemidji, and Jennifer (Mark) Klemens of Bemidji; nieces and nephews: Chelsy (Derek) Schmitz, Morgan Taus, Raquel (Jordan) Lanz and Branden Taus, Jason Martine, Ashley Martine, Amber Barstad and Jared Barstad, Blake Amon, Kathryn (Eric) Nelson, and Jennifer "Jenna" Klemens; great-nieces and great-nephews: Destiny, Paisley and Azalea Schmitz, Jesse Jr., Jace, and Joel Castaneda. He was preceded in death by his grandparents: Floyd and Lou Morlan, and George and Alice Taus; Brother-in-law: Jason Martine; Uncles: Floyd (Eddie) Morlan, Robert Morlan, Richard Morlan, and Robert Klemens; Aunt: Rosalie Morlan; Cousins: David Niemann and Paul Morlan. The funeral service for Denis will be at 4 PM, Saturday, April 19, 2014 at the Church of Christ, Crookston, Minnesota, with the Rev. David Johnson, officiating. Visitation will be at the Stenshoel-Houske Funeral Home, Crookston from 5 to 7 PM, Friday, with a prayer service at 7 PM and also visitation for one hour before the service on Saturday at the church. Burial will be at Oakdale Cemetery, Crookston. Stenshoel-Houske is assisting with arrangements. Lloyd Anderson, Sr., age 87, of Fosston, Minnesota, passed away on Saturday, January 17th, at the Veteran's Administration Hospital in Minneapolis, Minnesota. Funeral services will be held at 11:00 a.m. on Friday, January 23rd, at Bethel Assembly Church in Fosston with Pastor Jon Marx officiating. Interment will be in Mamre Cemetery, rural Fosston. Visitation will be held from 5:00 p.m. to 7:00 p.m. with a 7:00 p.m. prayer service on Thursday, January 22nd, at the Carlin-Hoialmen Funeral Home in Fosston. There will also be reviewal for one hour prior to the service on Friday at the church. Arrangements are with the Carlin-Hoialmen Funeral Home of Fosston and military honors will be provided by the National Guard Honors Team. Messages of condolence may be sent at www.carlinhoialmen.com. Lloyd Anderson was born January 11, 1928 in a farm house in Queen Township, Minnesota to parents Matthew and Mary (Stueness) Anderson. He attended country school until the 8th grade when he had to postpone his education to work the family farm. In January of 1953 he joined the Army where he was a cook and supply sergeant at Camp Roberts and Camp Stoneman in California. He was also stationed for a time at Camp Lewis in Washington state. While in the Army he completed his GED for his high school diploma. In January 1955, he was honorably discharged from the Army. He returned to Minnesota where he attended Dunwoody Institute. After graduation he was employed installing intercom systems in hospitals. He worked briefly in the Chicago area but was transferred back to Minneapolis. While there he met and on August 26, 1961 married Ruth Adams. In 1967, they returned to the family farm raising beef cattle and crops. In 1970, he started working at the Northern Sun Products in Gonvick, Minnesota along with his farming. While working at the Sun Plant he obtained his boilers license. He worked there until its closure. He continued on the farm raising beefalo cattle. In 1988, he obtained employment at the Fosston Incinerator. He retired from the Incinerator but continued farming. After selling the land he remained on the farm working for the Jerry Dehmer, the new owner. In 2004, Lloyd developed a passion for growing big pumpkins with his friend Jerry Dehmer. They entered the big pumpkin contests in Gonvick, winning many prizes for their big pumpkins. His big pumpkins were his pride and joy. In October 2013, he moved off the farm and moved into a rental house in Fosston. He enjoyed his life in town with his faithful dog Copper tending the flowers and watching the birds. Lloyd was a member of Bethel Assembly Church where he helped build the original church and he served on the board at various times. He was also a member of the Irvin-Blix American Legion Post #16 of Bagley, Minnesota. On January 17, six days after his 87th birthday, Lloyd passed away at the Veteran's Hospital in Minneapolis after a courageous battle with Guillian Barre syndrome. Lloyd is survived by two daughters, Rhoda (Marvin) Berg of Gully and Lorelei O'Keeffe of Fosston and one son Lloyd Anderson Jr. (girlfriend Christine) of Chatfield, Minnesota. He is also survived by his grandchildren, Melissa (Troy) Hjelle, Rachel (Kyle) Smith, Dustin and Dakota Berg, Leiza and Zach O'Keeffe, Joshua and Justin Anderson. Three great grandchildren, Spencer and Samuel Hjelle and Addison Smith. Two sisters, Beulah Hongerholt and Marilyn Miller, one sister-in-law, Berna Anderson. Some nephews and cousins also survive. He was preceded in death by his loving wife Ruth, his parents, one brother, and two nieces. Pallbearers: Dustin Berg, Josh Anderson, Zach O'Keeffe, Justin Anderson, Dakota Berg, and Kyle Smith. Honorary Pallbearers: Jerry Dehmer, Loyal Sakrismo, Phillip Sakrismo, Vernon Gustafson, Jerry Matson, and Rodney Lyons. Louis John "Bud" Petschen, age 77, of Crookston, Minnesota, died on Tuesday, October 15, 2013 at the Pioneer Memorial Care Center in Erskine. Bud was born on July 3, 1936 in St. Paul, Minnesota, son of Louis Joseph and Margaret (Maloney) Petschen. He grew up in St. Paul, was educated at St. Vincent's School and the Mechanic Arts High School. Following graduation, he served in the US Air Force from July of 1954 until July of 1957 and served in the Air Force Reserves until July of 1961. Following discharge, Bud returned to the Twin Cities area, where he lived and worked. In 1980, he was united in marriage with Doris Miner in Fergus Falls, and they made their home there. In 1984, they moved to Crookston, where Bud worked at Otter Tail Power and then at New Flyer as a custodian. He was known for calling and playing bingo at the VFW and the Humane Society. While sharing a cup of coffee in the morning at Hardees and later Arby's, Bud kept his finger on the pulse of Crookston. He was known and loved by many and pretty much anywhere he went, he was greeted with a "Hey, Bud!". Anyone that knew Bud knew he had a love for his "wiener dogs". "Ginger", "Chili" and last but not least another "Ginger" were his pride and joy! He affectionately called them all "booger dog." Bud touched many people with his quick wit and charming personality. He will be dearly missed. Bud is survived by his children: Todd Miner of Fargo, Tammy (Eric) Peterson of Roseville, CA; three grandchildren: Alex, Kayla and Lily; a sister: Marguerite Besaw of St. Paul; a nephew: Terry Besaw; a niece: Joan Olson and numerous friends and "extended family," most recently, the staff at Pioneer Care Memorial Center. He was preceded in death by his parents: Louis and Margaret Petschen; and life-long companion: Doris. Bud's memorial service will be held at 2 PM, Friday, October 18, 2013 at the Stenshoel-Houske Funeral Home in Crookston, with visitation for one hour before the service at the funeral home. Interment will be Saturday, October 19, 2013 at 11 AM at Calvary Cemetery, Saint Paul, Minnesota. Dolores Ann Montreuil, 77, of Crookston, Minnesota, peacefully passed away September 21, 2013, at home with her family surrounding her. Dolores was born March 15, 1936 near Dorothy, Minnesota, the daughter of Hubert and Mildred (Schultz) Huot. She was baptized and confirmed at St. Dorothy's Catholic Church. She grew up on the family farm and graduated from Lafayette High School in Red Lake Falls in 1954. Dolores was employed by Otter Tail Power Company and later worked for Crookston Water Company, Highland Middle School, and Dahlgren & Co. In 1957 she married Alan Eugene Montreuil of Crookston. They made their life in Crookston and together raised three children, Greg, Sandy, and Renee. Dolores had a love of nature and enjoyed gardening, going to the lake, and spending time with her immediate and extended family. She had a strong faith and always put God and family first. She will be remembered for her thoughtfulness, warm smile, generosity, and gentle nature. She will be missed by all whose lives she touched. Dolores is survived by Alan, her loving husband of 56 years and children Greg Montreuil (Yves Musard) of New York, NY, Sandy (Jim) Novak of Centennial, CO, and Renee (Jon) Brekken of Lakeville, Minnesota; and grandchildren Leah and Ryan Novak and Nick, Ben and Annie Brekken. She also leaves eight brothers and sisters, Bernetta (Adolph) Donarski of Crookston; Lorena (Harry) Nohre of Fertile, Minnesota; Elaine (Larry) Ricard of Beltrami, Minnesota; Genevieve (Bernard) Ricard of Crookston, Leonard "Red" (Darlene) Huot of Red Lake Falls, Minnesota; Eddie Huot of Gilbert, AZ; Wilfred (Pat) Huot of Grand Forks, No; and Darlene (Bill) Ryan of Vernal, UT; a sister-in-law Gladyce Huot of Red Lake Falls, Minnesota; a brother-in-law Ron Donarski of Crookston, and many nieces, nephews, great nieces and nephews. Dolores was preceded in death by her parents; a brother, Donald "Bud" Huot, a sister Mary Jean (Ron) Donarski, infant sister Marie, half-sisters Stella (Ronald "Sonny") Kennedy and Lucille (Irvin) Ostlund. The Mass of Christian Burial and celebration of the life of Dolores Montreuil will be held at 2:00 pm on Thursday, September 26th, 2013, at the Cathedral of the Immaculate Conception in Crookston with The Rev. Vincent Miller presiding. Visitation will be at Stenshoel-Houske Funeral Home from 5:00 to 7:00 pm on Wednesday with a prayer service beginning at 7:00 pm, also visitation for one hour before the service at the church. Interment will be in St. Dorothy's Catholic Cemetery, Dorothy, Minnesota. Sylvia Grabanski, age 91, of East Grand Forks, Minnesota, and formerly of Crookston, Minnesota, died Wednesday at Essentia Health in Fosston, Minnesota. Sylvia Norma Tinnes was born on November 3, 1921 at Oslo, Minnesota, the daughter of Julius and Clara (Olson) Tinnes. She grew up and attended school at Oslo. She was united in marriage with Joseph (Joe) Barney Grabanski on September 19, 1939 in Oslo. They made their home in Dorothy, Minnesota, on the family farm. She worked on the family farm and took pride in being a homemaker. She enjoyed her day's raising her family, baking, gardening and sewing. She loved time spent visiting with family and friends. Everyone had a special place in her heart. She had a knack of remembering all the people she knew, where they lived, who they were married to, their kids names and even how many grandkids became of these unions. She enjoyed phone calls from everyone and the visits from family and friends. She and Joe moved into Crookston in 1978. Her husband, Joe died on July 19, 2007. In 2010, Sylvia moved to East Grand Forks. Sylvia went back to school in her later years and completed her 12th grade education, receiving her diploma. She was a long time member of St. Dorothy's Catholic Church and later became a member of the Cathedral of the Immaculate Conception in Crookston. Her grandchildren, great-grandchildren and a great-great-grandchild tugged at her heart always. She was always concerned about everyone else, right to the end. She will be greatly missed and always remembered. Sylvia is survived by her children: James Grabanski of Grand Forks, North Dakota, Joan (Gerald) Mireault of Crookston, Minnesota, Roy (Marge) Grabanski of Darwin, Minnesota, Dan (Lynne) Grabanski of Faribault, Minnesota, Rykk (Melanie) Grabanski of Watkins, CO; daughters-in-law: Joyce Grabanski of East Grand Forks, Minnesota and Marilyn Nelson of Grand Forks, North Dakota; fourteen grandchildren, twenty great-grandchildren and one great great-grandchild; a sister: Loraine Yochum of Redding, CA; two nephews: Milton (Janice) Kleven and Rick Yochum; two nieces: Marlyne Olson and Susan (Tom) Jenkins; and several cousins. She was preceded in death by her parents: Julius and Clara Tinnes; her husband: Joe; a son: Robert; a sister: Melvina Kleven and two brothers-in-law: Leonard Kleven and John Yochum. Sylvia's funeral will be held at the Cathedral of the Immaculate Conception at 2 PM on Wednesday, October 2, 2013, with the Very Rev. Vincent Miller, presiding. Visitation will be held at the church on Tuesday, October 1, 2013 from 5 to 7 PM with a rosary at 7 PM and also for one hour before the service on Wednesday. Interment will be at St. Dorothy Catholic Cemetery, Dorothy, Minnesota. Bonnie Lou Johnson, 63, of Aurora, Colorado, and formerly of Crookston, Minnesota, died at her home unexpectedly on Monday, November 11, 2013. Bonnie was born at Crookston on August 22, 1950, and was the daughter of Reuben and Luverne (Urness) Johnson. She enjoyed knitting and crocheting and was a longtime Eagles member. Bonnie's passion was helping and spending time with her elderly friends, who she thought of as her second family. Bonnie will be remembered and loved by many. Loving family members include five siblings: Dennis (Sandy) Johnson of Mesquite, TX, Donny Johnson, David Johnson (David died a few days after Bonnie on November 15th), Eileen (Jim) Langlois, and Rick Johnson, all of Crookston; and several nieces, nephews, and cousins. She was preceded in death by her parents, Reuben and Luverne; a half-sister, Linda "Lindy" Engebretson; and two half-brothers, Sonny and Darrell Ostgard. A memorial service will be held in Colorado, and Bonnie's memory will be honored at the Memorial Service being held for her brother, David, which will be held at1:00pm, Friday, November 22, 2013, at the Stenshoel-Houske Funeral Home in Crookston. MaryLou Gruhot, age 75, of Crookston, Minnesota, died Tuesday evening, November 12, 2013, at her home with her loving family at her side. MaryLou Belle Donarski was born on November 8, 1938 in Crookston, daughter of Frank and Bella (Mackowick) Donarski. She grew up and was educated in Crookston. As a teenager, she worked as a waitress. She was united in marriage with Ronald A. Gruhot, Sr. on June 21, 1958 in Crookston at the Cathedral. They moved to their current home on South Front Street forty-seven years ago, their home is located just across the railroad tracks from her parents home. Her father was a Minnesota Twins fan and when her son, Kevin, served overseas, MaryLou started recording the Twins games and sending snippets of information regarding the games to her son. By the time he returned home, she was a full-fledged "Twins Fan", recording games and keeping stats, even watching other teams games to keep up with what was going on. She and Ron enjoyed playing Bingo, starting locally and eventually traveling to Mahnomen for bigger games. Most notably, she won the $10, 000 payout on their fiftieth wedding anniversary. She also enjoyed playing cards with family and friends (Smear). She beat her first round of cancer in 2000, but more recently went through another bout from 2007 to 2009. MaryLou is survived by her husband: Ron of Crookston; three sons and two daughters: Mark Gruhot of Crookston, June Berhow of Fertile, Sherry (Alan Melvie) LaPlante of Crookston, Ron Gruhot, Jr. of Crookston and Kevin Gruhot of Crookston; eleven grandchildren and twenty-one great-grandchildren; four siblings: Ronald Donarski of Crookston, Adolph (Bernetta) Donarski of Crookston, Frank (Elaine) Donarski of Grand Forks, Carol (Denis) Kawlewski of Crookston. She was preceded in death by her parents: Frank and Bella Donarski; an infant brother: Albertie; and two brothers: Leo Donarski and Irvin Donarski. MaryLou's funeral service will be held at 2:00 p.m., Monday, Nov 18, 2013 at the Cathedral of the Immaculate Conception, Crookston. Visitation will be at the Stenshoel-Houske Funeral Home, Crookston on Sunday from 5-7 p.m., with a 7 p.m. prayer service, and also at the church for one hour prior to the funeral. Interment will be at Calvary Cemetery, Crookston. Nelfred Jorgen Borslien, 90, of Fertile, Minnesota, died on Sunday, January 9, 2011, Woodside Village Nursing Home, Grand Forks, North Dakota. He was born on June 15, 1920, in rural Fertile, Minnesota, to Bernhard and Clara (Dale) Borslien. Nelfred was baptized and confirmed at First Evanger Lutheran Church, Fertile. He attended Pleasant View Rural School District #86, near his home. Following his schooling, Nelfred worked on the home farm, with the Fertile Park Department, for flax straw and June Grass stripping companies, and repaired tractors for John Deere and area neighbors. He built a house east of the home place, where they kept sheep and cattle on the farm. On November 16, 1974, Nelfred was united in marriage to Elva Hauge at Maple Bay Free Lutheran Church, Maple Bay, Minnesota. They moved into the house he built and continued raising sheep and milking cows. He and Emily Pederson moved tons of hays by truck and train all over the area. In the late 1990's, they moved to the Northwest apartments, where they have lived since. Nelfred and Elva were active members of Maple Bay Free Lutheran Church. Putting on a serious countenance, Nelfred was able to place jokes and tell "Stories" on others, making everyone laugh. He was helpful to anyone in need of assistance. Studying genealogy about his family kept him busy and informed on the heritage of his ancestors. May God bless the memory of Nelfred Borslien. Nelfred survived by his wife Elva, Fertile; brother, Gilmore and his wife, Emma, Crookston, Minnesota; one sister, Orpha Borslien, Fertile; and four nephews and two nieces. He was preceded in death by his parents, one brother, Erwin, and one sister, Adella Christiansen. Funeral services will be on Saturday, January 15, 2011, in the Maple Bay Free Lutheran Church, Maple Bay, Minnesota. Visitation will be one hour before the services. Burial will be in the First Evanger Lutheran Cemetery, Fertile, Minnesota. 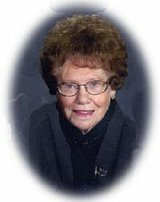 Norma Ross, 81, of Crookston, Minnesota, died Friday, February 21, 2014, at the home of her daughter, Kristin, in East Grand Forks. With great grace and peace, she courageously battled leukemia for the past several weeks. Norma Jean Hovelsrud was born in Crookston on May 23, 1932, the fifth of six children of the union of Lawrence and Anne (Carlson) Hovelsrud. She was baptized and confirmed in the Lutheran faith, and grew up on the family farm, south of Crookston. Norma attended Crookston public schools and graduated from Central High School in 1950. For several years she held a clerical position with Polk County Social Services in Crookston before transferring to the Hennepin County Social Services Department in Minneapolis in 1954. On April 15, 1955 Norma was united in marriage to Gerhard Arthur Ross. The couple lived and farmed near Fisher, Minnesota, and together raised six children. Five of the kids came in their first seven years of marriage, with the baby...Kelly, arriving six and a half years later. Needless to say, Norma had her hands full, but would not have traded places with anybody. For many years the couple's lives centered around farming. Sunday mornings would find the family faithfully attending Trinity Lutheran Church in Fisher, and the rest of the week keeping up with school activities including basketball, football, and volleyball games; band concerts and PTA meetings. An immense sadness came to the entire Ross family in 1987 when Kelly was diagnosed with leukemia. After months of treatments, hope and then heartache, Kelly passed away on October 2nd. Three and a half years later Gerhard retired from farming, turning over the operation to his sons. He and Norma moved to Crookston, and became devoted members of Crookston's Trinity Lutheran Church. Norma was active in the Mary Guild Bible Study and WELCA, served on the building committee during the planning for Trinity's new addition, and later chaired the church's kitchen remodeling project. Norma was welcomed into the Crookston Chapter of PEO, a Sisterhood devoted to providing educational opportunities for young women. From this organization many wonderful friendships were formed. She was a member of the RiverView Hospital Association Auxiliary and for several years chaired the cookie-walk, held each December. Norma belonged to the Home Study Club for many years, and was past president of the West Polk County Home Study Council. She also held memberships in the Auxiliaries of the American Legion and DAV, volunteered for RSVP, and participated in Golden Link activities. Norma and Gerhard enjoyed travel in the United States, along with trips to Norway and many other European countries. Gerhard passed away on August 26, 2011. Norma remained at the heart and center of her growing family, trusting Jesus for daily guidance and the ability to serve her Lord by serving others for as many years as he would choose to give her. Her legacy of love, generosity, compassion and energy for service will be very lovingly remembered and forever missed by her family and all who shared in her life. Norma leaves five children and their spouses: Kevin and Debra Ross of Fisher, Minnesota, Janna Ross and her husband, John Clark, of Maplewood, Minnesota, Joel and Kristi Ross of East Grand Forks, Minnesota, Kristin and Grant Schiller of East Grand Forks, and Jay and Jennifer Peterson-Ross of Crookston, Minnesota; grandchildren and step-grandchildren: Andrew (Michelle) Ross, Travis (Jessica) Ross, Evan (Bailey) Dimke, Bria Dimke, Katherine (Peter) Duane, Thomas Rohrer, Brian (Audrey) Clark, Allen Clark, Kevin Clark, Alyssa (Luke) Wentz, Jessica Christenson, Nicole (Ross) Johnson, Jake Schiller, Jaelynn Ross, Lacee Peterson, Lexie Peterson, Luke Peterson, and Maretta (Calvin) McMullen; two great-grandchildren, Broden and Brielle Ross. She is also survived by four siblings: Lorraine Tattle of St. Cloud, Minnesota, Morris (Twyla) Hovelsrud of Crookston, Lois Bagley of Crookston, and Joan Westlake of Detroit Lakes, Minnesota; and many nieces, nephews, and other relatives. Besides, Gerhard, her beloved husband of fifty-six years, and their dear daughter, Kelly, Norma was preceded in death by her parents, parents-in-law, Arthur and Elizabeth, and sister, Betty Armacost. Blessed is the memory of Norma Jean Ross.